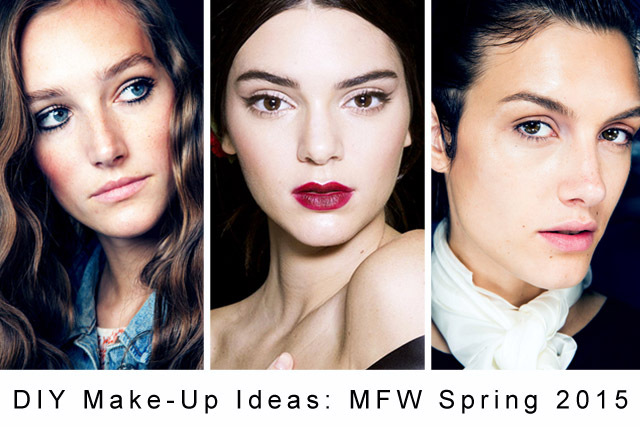 Have you ever tried to DIY makeup look that you’ve seen on a runway? Of course, some of the haute couture beauty isn’t suitable for everyday life but usually there are still plenty of make-up ideas that can easily be adapted. 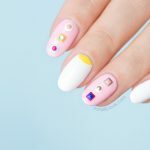 For instance, this year there were so many stunning yet wearable looks on the runway at the recent Milan Fashion Week (MFW) Spring 2015, that we could not resist showing you some of the best. Bonus, you probably already own all make-up products required to re-create these looks. 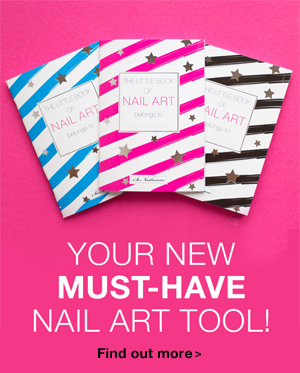 And, if you don’t, as always we’ve included some recommendations. Enjoy! 1. Berry lips and winged eyeliner at Dolce & Gabbana: perfect make-up idea for a night out. 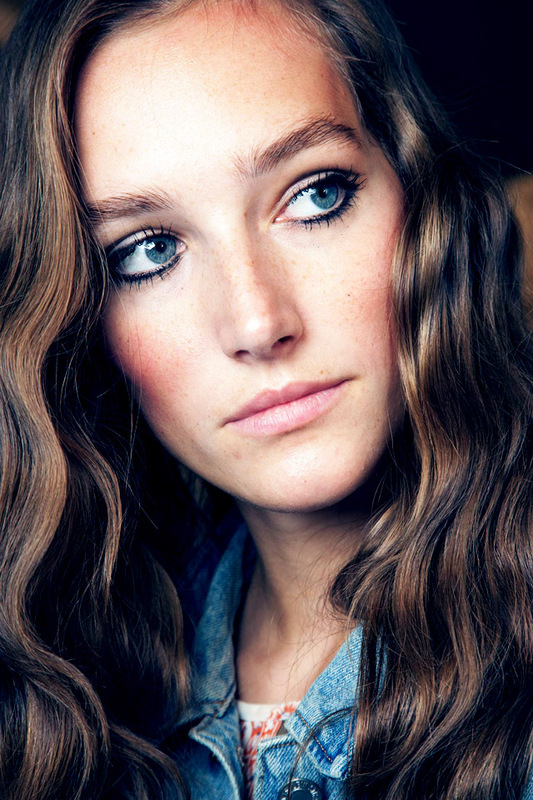 Keep your hair simple to resemble the new season’s femme fatale look. Get the look with: Dolce & Gabbana Ultra 650 or NARS Gypsy. 2. Fresh face and long lashes Bottega Venetta: a great make-up idea for a date or lunch our. Apply rosy blush on your cheeks, 2 coats of black mascara on your upper lashes, define you eyebrows and add a touch lip gloss or lip balm on your lips. Bonus, this look can be easily transformed into an evening look by adding a bright lipstick (i.e. see the next look). Get the look with: Lancome Hypnose Dolls Lashes mascara or L’Oreal Voluminous Power mascara. 3. 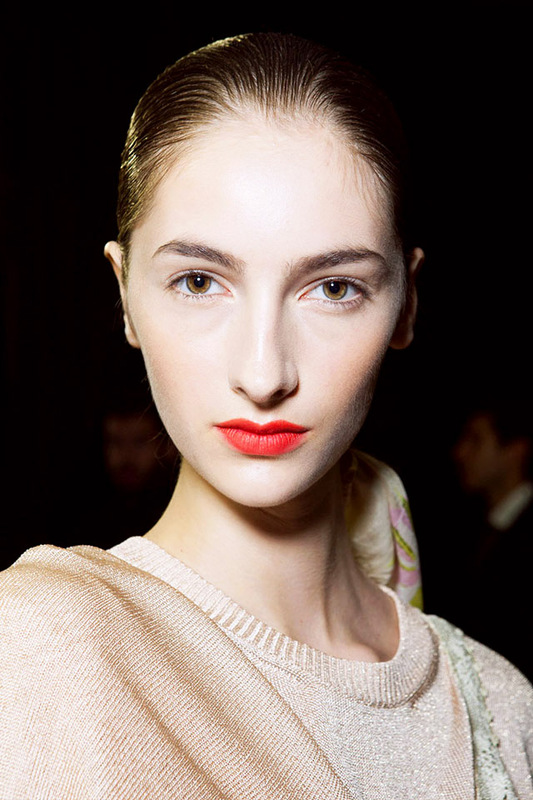 Orange Lips at Missoni: orange lips are still trending. Wear minimum make-up to allow your bright lipstick to play the leading role. 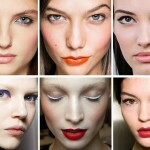 If you need some extra tips for wearing orange lipstick, check out this post. Get the look with: M.A.C Dangerous or Illamasqua Soaked. 4. 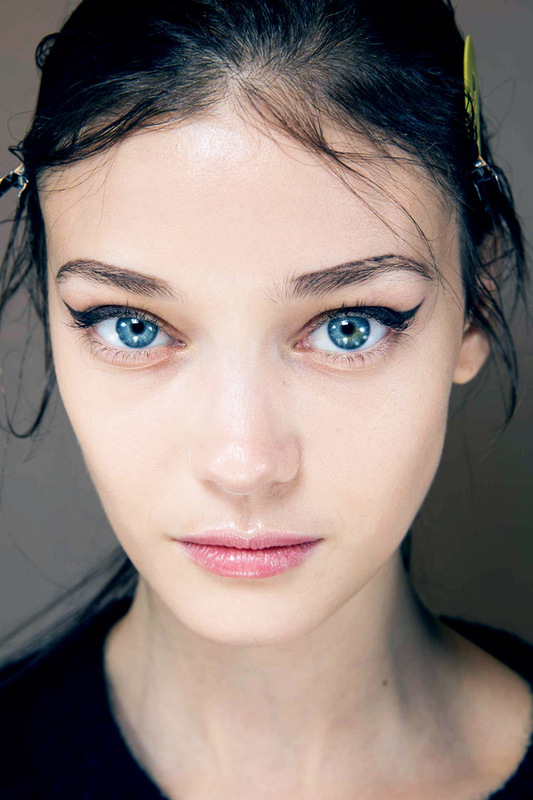 Flawless complexion and extended eyeliner at Prada: if you want to accentuate your eyes this look is for you. Make sure to define your eyebrows and add some highlighter on the cheekbones to draw attention to the eyes and on your cupid bow for a fuller lips look. Get the look with: L’Oreal Lumi Magic highlighter and Sephora Collection Black waterproof eyeliner. 5. 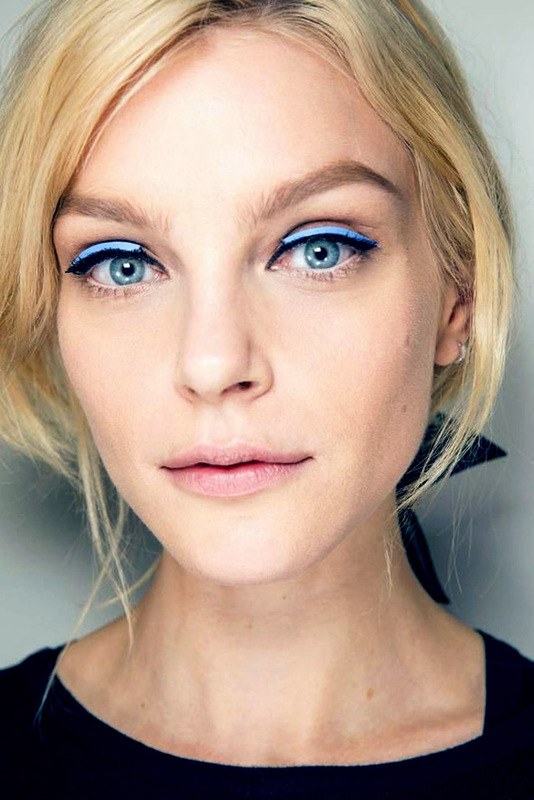 Blue & black eyeliner a-la 60-s at Fendi: tiny pieces of blue leather were used as eyeliner at Fendi. 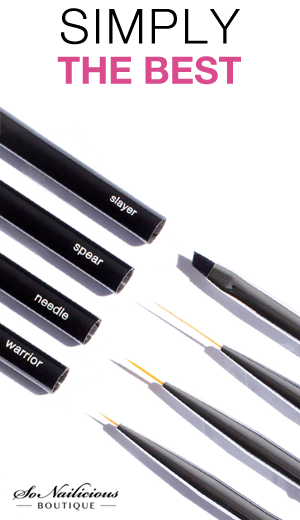 For a real life look simply apply bright blue eye eyeshadow or pencil on your eyelids, then use the classic black eyeliner and complete the look with two coats of black mascara. Get the look with: Sephora Collection Jumbo Liner in Peacock Blue. or Dior Eyeshadow Palette Atlantique. 6. Bronzed bombshell at Emilio Pucci: perfect make-up idea for holidays or summer parties. Use your bronzer generously to achieve the sun kissed complexion, define your eye brows with a brow gel, then line eyes with a dark blue liner and add 2 coats of mascara to complete the look. Easy! Get the look with: Makeup Forever Navy Blue eye pencil, NARS Bronzer and Benefit Gimmer Brow brow volumizing gel. 7. 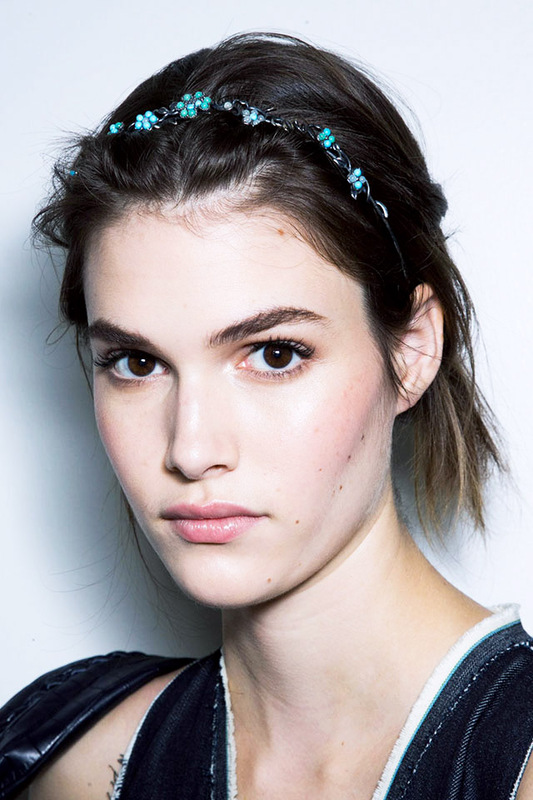 Flawless glow at Marni: yet another make-up trend that we’re seeing again. So if you haven’t bought that highlighter and illuminator, it’s time to get one. The glowing skin make-up look is one of the easiest to DIY. Simply wear good coverage foundation, use highlighter or illuminator on your cheek bones to get that glow then add 1 coat of dark brown mascara and a clear lip gloss – done! 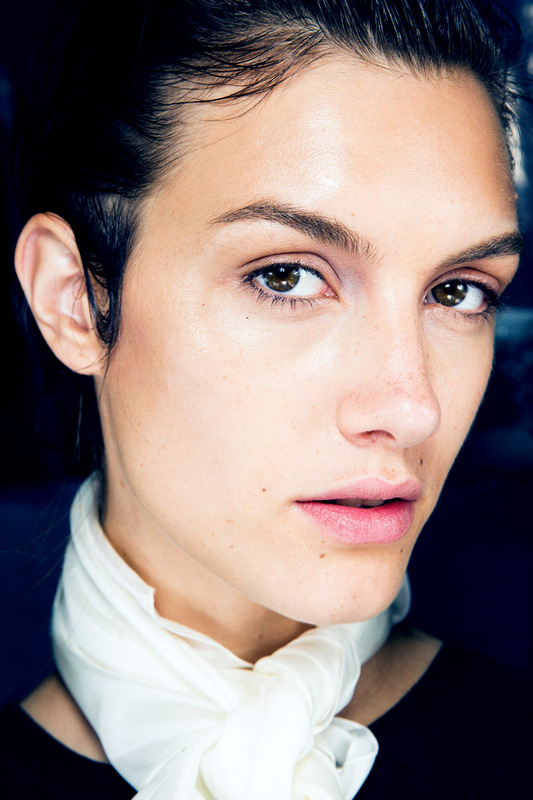 Get the look with: Hourglass Immaculate Liquid Powder and Dior Radiance Booster. What do you think about these make-up ideas? Which look is your favorite and what looks are you keen to try?